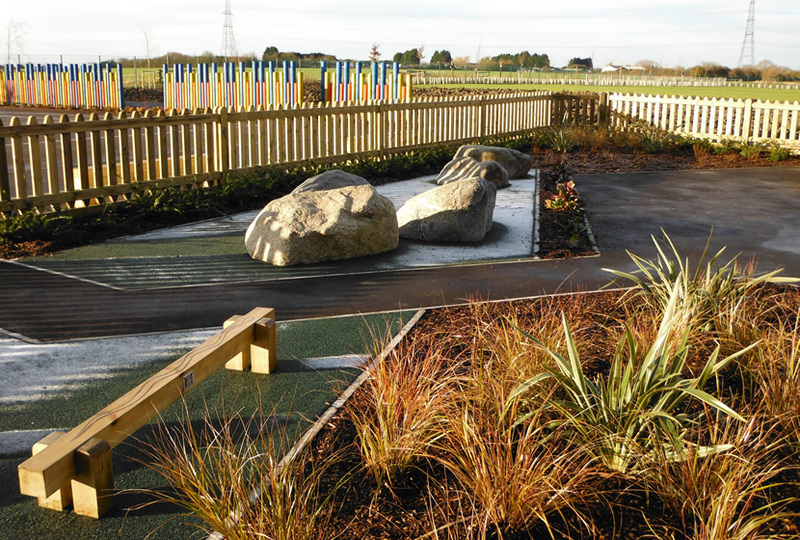 Laid to cropped agricultural land within the Fens, the site is to accommodate the third, new Key Stage 1 & 2 Primary School in Soham, built across 2 phases. The project is currently at Milestone 5, tender issue pre- construction. The first phase shall see the main building developed adjacent to The Shade highway, with the second phase extending southwards from Phase 1, located between hard & soft sports pitches. The final layout of the site will provide two separate wings of accommodation – one for Key Stage 1 (including the nursery) & one for Key Stage 2. To the north of the building, a series of break out spaces & external classrooms are to be provided for Reception & Year 1 classes. These spaces shall be enclosed by a boundary hedge with secure fences, containing interesting & robust planting, with features of play for each year group and seating provisions. The northern boundary is planted with an avenue of trees providing a green elevation to residential houses located along The Shade. 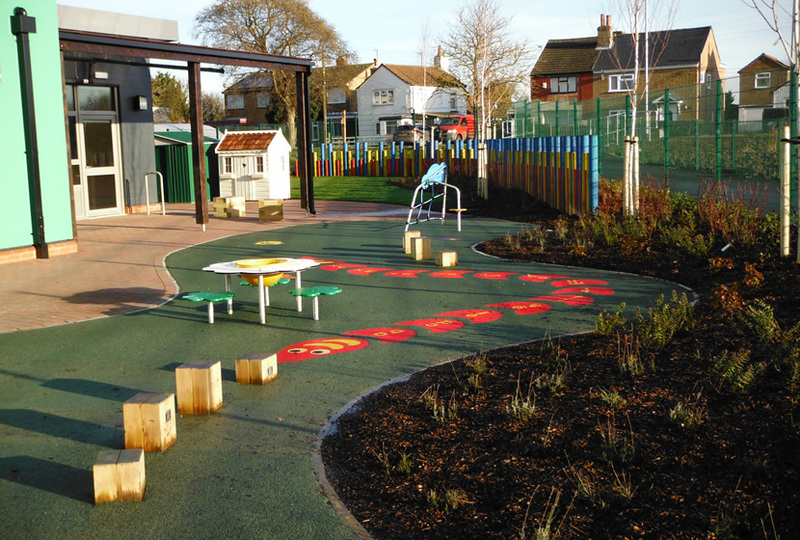 The Pre-school shall occupy the eastern end of the building with its own enclosed private, secure garden, containing bright, colourful safety surfacing, play equipment, raised borders & planting that shall provide a safe yet stimulating environment for toddlers. 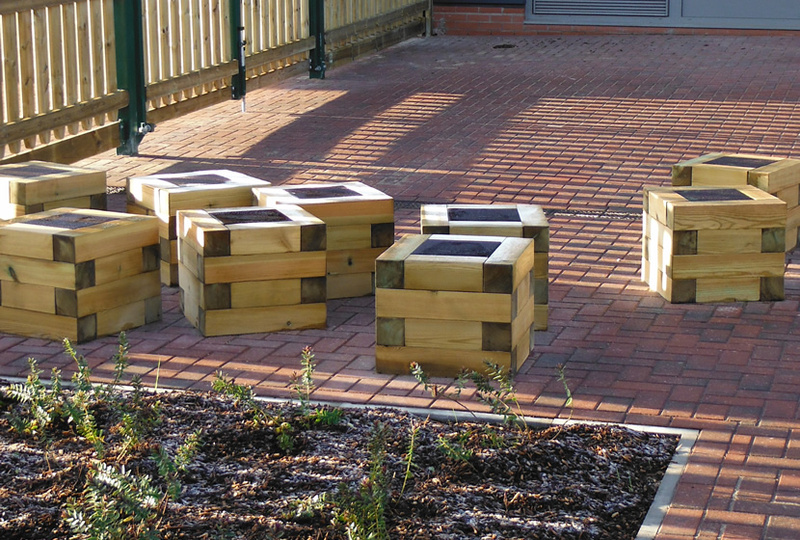 To the south of the building, a hard court area is bordered by further outdoor classrooms & an enclosed habitat garden; where bog planting, pictorial floral planting, insect houses & wildlife can be observed by class groups. The site is very exposed & will be planted with a native shrub belt & trees to provide some relief from the Fenland winds that sweep across the site from the SW.